Movistar Team’s world champion is a rare commodity: a genuine all-rounder who can sprint, climb, time trial, solo to victory and play super-domestique. Winner of the 2018 World Championship road race, 2009 Vuelta a España, multiple Spanish National Champion’s jerseys, two Criterium Dauphine wins, four at Liège-Bastogne-Liège and an astonishing five Flèche Wallonne, the 38-year-old rider has a palmares to envy. 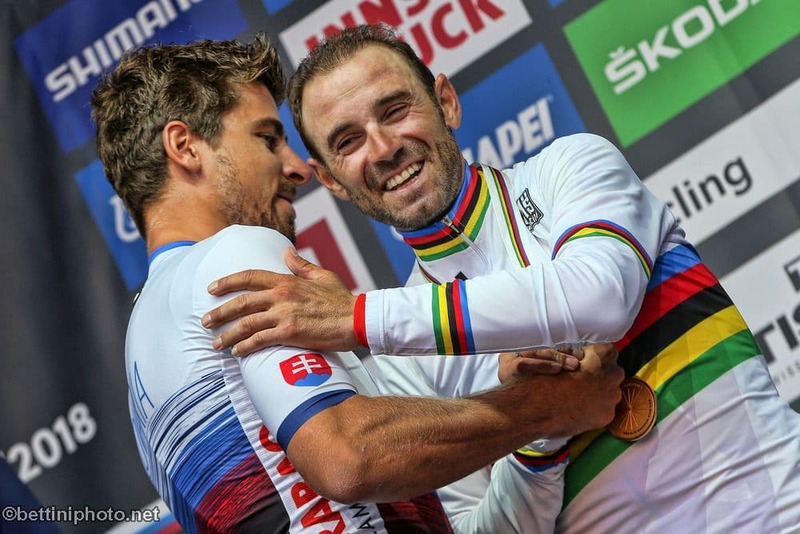 In his 19th year as a pro, the Spaniard is still hitting peak form winning the rainbow jersey this past weekend in Innsbruck. A popular figure with fellow pro’s and fans alike, Alejandro is all smiles as he joins Fizik for the latest video in their ‘ 7 Questions’ series. Discover who inspired the young Alejandro to ride; where he likes to train; his best loved teammate and food, which is his which favorite Grand Tour, and more.